Relationships are the modern puzzle. You hardly ever know which move will lead you into which coup. Most of the times, I witness very strong relationships crumbling to dust because of bad techniques. Lying, cheating, gaslighting, ghosting, et cetera, are horrible tactics to use when you are looking for a sound relationship status. Trust is scarce, and happiness- even more so. In this era of frayed mental health and fast fading sanity, all we are really looking for is a string of hope to latch on to. That is mostly present in the form of a romantic partner. When we do, in fact, find our way to this magic, we tend to mess things up with or without intention, and then wonder where the good old times went. It is important to consciously labor for a healthy, and a happy bond between the two of you. 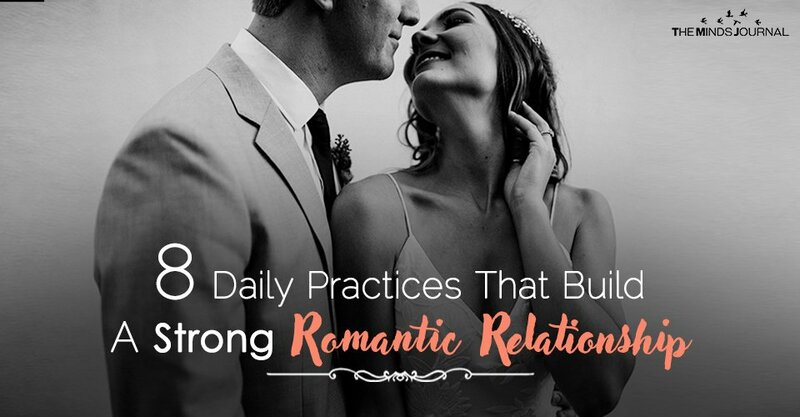 Developing certain traits and practicing them constantly, will help you make your relationship long-lasting and much more peaceful. Irrespective of how long you have been together, you need to learn how to keep the spark alive. Dates are not limited to the first few days or weeks of the relationship. Dress up, go out somewhere that makes you both feel special. Share a dinner, watch the stars, talk about each other. Keep the worries and the quarrels away. Don’t even talk about work. Imagine meeting your partner for the first time, and trying to win them over once again. This will keep the love in the relationship fresh, and keep your bond from stagnation. Every day should feel like the very first time that you saw them. You should decide on a mutual procedure to resolve whatever issues you may have. Having fought in a relationship is very normal. But using cold war techniques to deal with it is beyond simply detrimental. Don’t shut your partner out. Instead, fix a regiment. Either talk it out or let things pass. Don’t hold the grudge. It is better to sit and be honest with each other about the likes and dislikes, rather than trying to get them to read your mind. It will prove to be a healthy practice in the long run. Treat each other like you did at the beginning. Keep reminding them that you appreciate them, and are on their side. It helps to know that your partner is just as crazy about you as they were when you first started out. It makes one feel happy and gives a longer life to the relationship you share with each other. Send them cute little texts while at work, or leave them flirty notes when you go out. Make sure you keep reminding them that they are special, and you love them just the same as you had when you got together. Do not make your partner your slave. Divide the chores that need to be done around the house. Do not depend on the other person to take care of the dirty work simply because they do it without complaint. It leads them to amass resentment within them that they probably cannot address. Offer to help them out, take an initiative and clean the cupboard. Remember that it is your place of habitation too, and you have no plausible excuse that can give you a rain-check from duties in your own home.